Home / Auditions. What To Do, What Not To Do? What to do and what not to do? That IS the question. I am talking about auditions. Seems like everyone else is too – which is what caused me to write this second post about these potentially life-changing moments in a dancer’s life. There are whispers from dancers in the studio hallways asking, “Who are you auditioning for this weekend?” Industry magazines are jam-packed from one glossy cover to the next with audition schedules. Whereas many artistic and school directors are busy jet setting to countless numbers of cities and towns conducting these auditions, making their sagacious selections. Not sure exactly how many auditions I attended in my day, but I wish I would have possessed this invaluable information that I am about to pass on to you. 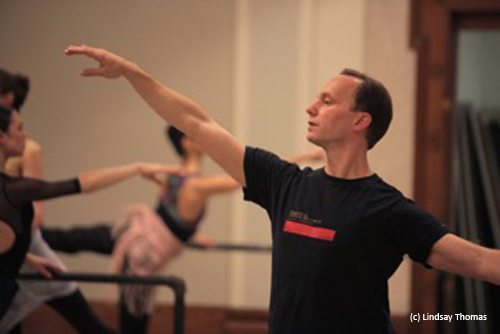 What captures the eye of an artistic director? Is appearance important to them? Audition mistakes? Could you be guilty of making some? Well to ensure you are not, I teamed up with Pacific Northwest Ballet Artistic Director Peter Boal. The brilliant — and quite witty I might add — director and former New York City Ballet principal dancer shares with us a few tidbits about auditions that students may not realize. “Five pounds of make-up looks peculiar,” Peter begins. “Makes me wonder if you chose a good stylist instead of a good stretch.” (Ha! Told you he was witty.) Be presentable and ready to impress by keeping your look clean and neat. This includes minimal jewelry and naturally applied make-up. Hair accessories. Whoa, I have seen some crazy ones! Nothing too large or distracting — if you must wear them at all. Not being able to pick up exercises sends a red flag to an artistic director. Makes them wonder how you will ever learn choreography. Remaining calm and not getting overly flustered will enable you to pay better attention. Execute each exercise exactly as shown. Do not add extra flair or change musicality. If you are asked to do only a double pirouette and finish on the music, do not sneak in a shaky third and end off the music. Sloppy! Show that you can do exactly what is being asked of you. And with perfect musicality and technique at that! Most artistic directors have been in your shoes at one point in time. And believe it or not, they want you to do well. They are rooting for you. It is unpleasant to watch an anxious dancer. Try to convert your nervousness into excitement. Your love and enjoyment of dance will shine right on through hopefully getting you noticed. Something you can do to captivate the eye of the beholder? Exude confidence. Not cockiness, but an undeniable, irresistible inner strength. It is unfortunate but understood if a pesky injury rears its ugly head around audition time. It happens! Peter suggests, “If you have an injury that we should know about, speak up — we’ll respect that.” Good to know, right? What if an artistic director shows interest in you? Be ready! You may be approached with a few questions. What is your interest in the company? Why the urge to dance there? Have answers, please. Not having good solid answers may cost you a chance! Lastly, Peter recommends, “Parents should not ask unnecessary questions before an audition.” This not only takes up valuable time but can be viewed as unnecessary attention getting. And chances are all the answers can be found on that particular school or company website. 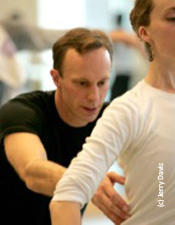 Great blog and amazing school, CPYB thanks for all your contributions to the dance world!